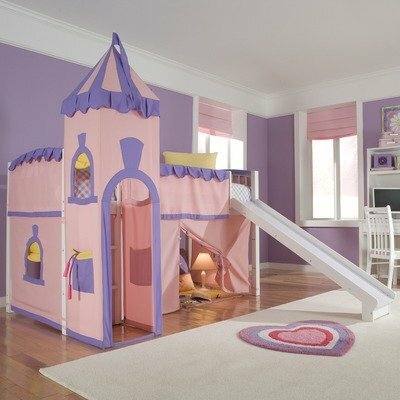 Whether your little girl loves princesses or puppies, we have what you need to make her love her bedroom. Shop.KidsParties.Party has a great selection of kids bedroom sets for girls, which all make for great gifts for any girl between the ages of 4 and 18. 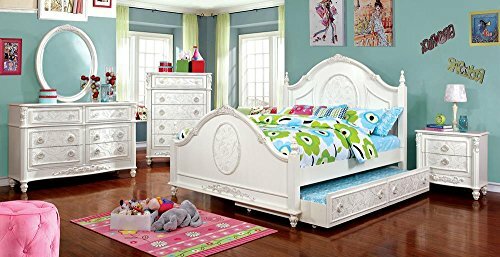 This beautiful white wood bedroom set comes with a bed frame, trundle bed, nightstand, dresser, and mirror – all fit for a princess. 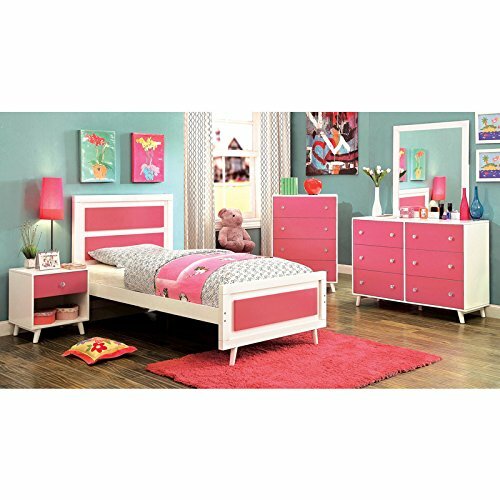 This beautiful white and pink bedroom set comes with all the furniture she needs: Nightstand, Dresser, Chest, Bed Frame, and matching Mirror! This pink loft bed comes with a white staircase that makes it easier to climb from at night and during her playtime. A Must have for every princess! 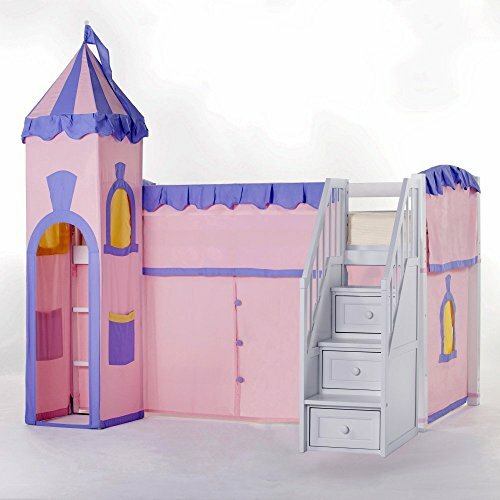 This loft bed is fit for a princess! Buy this loft bed for your daughter and she will love you forever. Her imagination will run wild all day long. 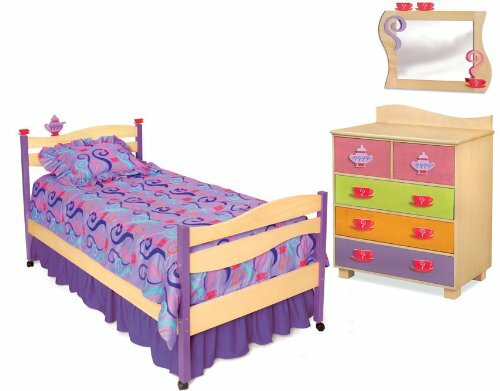 This 5 piece bedroom set in a tea party theme will make your child feel like they are at the most fun and colorful tea party around! $432.80 $426.86 Purchase it now!